In its Annual Review 2018 published today, the Cell and Gene Therapy Catapult (CGT Catapult) shares an overview of its work over the past year and the impact that it has had so far in the building the advanced therapies ecosystem and the UK industry. Following the positive outcome of the independent government review, CGT Catapult has reached some major milestones over the last 12 months, including the opening of the CGT Catapult manufacturing centre in Stevenage to support, through manufacturing and supply chain technology collaborations, the development and anchoring of a new manufacturing industry. 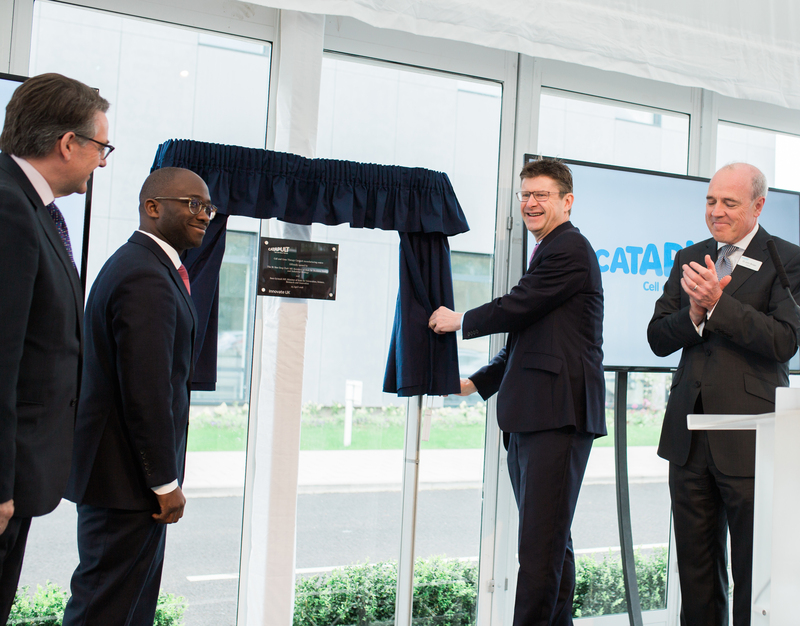 Business Secretary Greg Clark and Science Minister Sam Gyimah officially opened the CGT Catapult manufacturing centre in April 2018. Over the last 12 months CGT Catapult has worked on more than 80 exciting projects at both its development laboratories in Guy’s hospital and the newly opened manufacturing centre. The opening of the CGT Catapult manufacturing centre which will enable companies to develop and implement their manufacturing processes. CGT Catapult is now well established, and we have developed a range of unique assets across our development laboratories in London and the manufacturing centre in Stevenage to support the growth of UK industry. We now have a team of over 170 cell and gene therapy experts working on projects varying from manufacturing technologies to reimbursement, in our development laboratories in Guy’s Hospital and newly opened manufacturing centre in Stevenage. Over the next five years CGT Catapult will continue to support the development of the most complete advanced therapies ecosystem in the world, making the UK the go to place for cell and gene therapy development. The UK is fast becoming the go-to place for cell and gene therapy development; with government support, innovation agencies, regulators, contract manufacturing and development and a number of academics, SMEs, large pharma and supply chain companies, a growing manufacturing and development cluster and the only coordinated network of Advanced Therapies Treatment Centres (ATTCs), it is the most complete and integrated ecosystem in the world.